Check out these three tips for working from home in a small apartment. Working from home comes with many advantages, but it is also can be difficult when living in a small apartment. It’s essential to have a designated workspace to be as productive as possible when working from the comfort of your home. 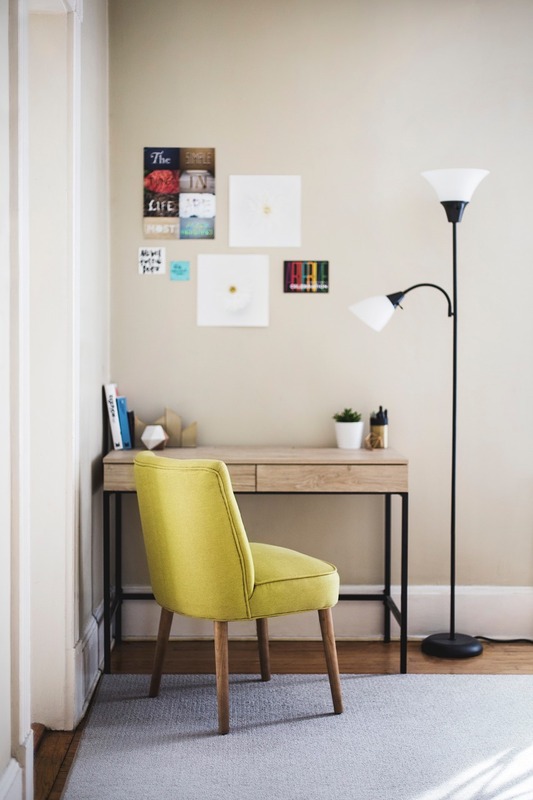 Continue reading for a few simple tips on how to decorate a small apartment for work-from-home success! The most important step is to have a desk or work area that allows you to get your home done efficiently. Some people may use their kitchen table or vanity, but it’s best to have a desk that is only used for work. Don’t make the mistake of sitting on the couch or staying in bed- you won’t be as productive, and it will be difficult to make the switch from “work” to “home” when your work day is over. Even in a small apartment, all you need is a simple desk and chair to give yourself a proper workspace. Lighting is so important for productivity and overall wellbeing. If your desk is in a dark corner of a room, you will quickly feel the negative effects of staying inside all day in the dark. Try to place your desk as close to a window as possible to soak in the sunshine, and take your breaks outside on the porch or deck or by taking a short walk. Research has shown that regular access to natural light during the day leads to better sleep and improve quality of life, so it’s very important to make an effort to get some sun! Just like a deck in an office building, decorate your work area with a few personal touches! It can really make a difference when you have items on your desk that bring you joy, such as inspiring artwork, photos, fresh plants, and visually appealing storage and organization tools. It’s also essential to make your desk comfortable enough to sit in all day, so invest in a quality chair and a sturdy desk that will last a long time. Whether you need your very first apartment home or are relocating to the area, Apartments of Harborside Village would love to be your dream apartment home. Looking for beautiful waterfront apartments in Joppa, Maryland? Let us show you one of our spacious and affordable apartments at the Apartments of Harborside Village. To learn more about our apartment options, visit us online, give us a call at 410-679-1130, or email us. For a peek into what it’s like to live in our community, follow us on Facebook, Twitter, Pinterest, and YouTube! This entry was posted on Friday, March 22nd, 2019	at 3:44 pm	. Both comments and pings are currently closed.